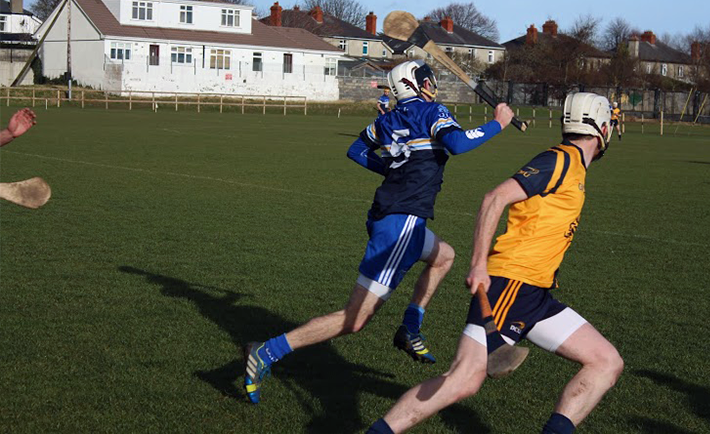 DCU Senior Hurling manager Paul O’Brien has praised his players after they put in an improved performance against Dublin Institute of Technology in St Clare’s in their final group game of this year’s Fitzgibbon Cup. A defeat sent DCU out of the competition last Tuesday, but despite the result, O’Brien noticed a better team effort compared to the away loss against NUI Galway last week. DCU competed for 60 minutes and limited DIT to 11 points. O’Brien saluted his team’s hard-working performance in tough weather conditions. O’Brien acknowledged snow and strong winds made it difficult to hurl in the second half, but the DCU coach refused to blame the defeat on the second half snowstorm. Stars like Richie Hogan and Mark Aylward played key roles in the DCU team as expected, but reflecting on the year as a whole, O’Brien paid tribute to the depth of the DCU panel. He pointed to the efforts of some of the dark horses and unsung heroes of the squad. DCU came up against strong NUIG and DIT outfits in the first phase of this year’s Fitzgibbon Cup, challenges that proved too much to handle. Despite the strides being made by the likes of DIT, O’Brien foresees the trophy making a return to Cork again this year. While DCU must now look to next year, DIT and UCD fly the flag for Dublin colleges in this year’s competition. UCD face O’Brien’s favourites UCC in the quarter-finals. UL will have their work cut out for them as they face neighbours LIT in search of a semi-final berth.